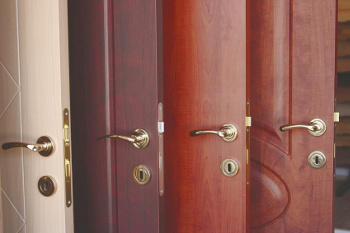 Have a business or home in Capitol Heights, MD that requires new exterior or interior doors? With King Door and Lock’s professional door installation 20743 services, you’ll have a completely new door quickly at a price that won’t break your budget. Our company offers full Prince George’s County door installation expertise for homeowners and business owners of Capitol Heights, MD with high quality and quick service, upfront pricing, and 24/7 door services. We’re a local, reliable business that takes pride in providing top notch services to residents of Capitol Heights. All of our specialists are very competent and educated, and we specialize in repairing and replacing garage doors, residential doors, and office doors. There are several reasons why you should look into the replacement or repair of a door. Outside doors normally suffer from enough weathering that replacing the door is a must. In some cases, a door’s beauty becomes outdated and it’s time to give it an update to something more modern. Other times, your door may simple need regular servicing like door jamb repair, door hinge repair, and door frame repair. Clients usually ask for repair or replacement of internal doors for causes like wear-and-tear or defective door components. Fortunately, whether or not the doors to your home or business require repairs or a complete upgrade, King Door and Lock Maryland and DC has your commercial, garage, and residential door repair and replacement requirements taken care of. Our company specializes in the repair and installation of commercial doors including: storefront door installation, automatic doors, and installation of fire-rated doors.If you own a business, then it’s important to maintain the doors to your office. This includes both the exterior doors and the interior doors. It is crucial to keep the customers that open and shut your office’s front doors free from danger. Each time a door is not in working order, particularly an automatic door, it could possibly bring about an unfortunate injury. At the same time, if the doors to your office are not working correctly, it may impact energy bills too. Your home’s or business’ garage has a handful of important jobs. It’s the place where you probably park your vehicle or where you store personal possessions. It’s also an entrance to your house, meaning if the overhead door to your residence is not working correctly it could be open to a thief or worse. Moreover, if the garage door on your property fails due to a broken motor or sensor when you’re on your way to work, you may be unable to exit the garage. It could also cause serious injury. This can be avoided by having your overhead door inspected by a professional and with ’round the clock garage door repair in 20743. In the assessment of your overhead door(s), if a concern is identified by our professional techs, we’ll let you know which repairs are required to prevent problems down the road. Your house is your refuge and as such, you must have properly working entrance doors to keep your family free from danger. Depend on the techs at King Door and Lock to replace and repair all interior and exterior residential doors. One of our specialties involves repairing and installing patio doors for Capitol Heights, MD houses. Have a garage, home, or commercial door that should be repaired? Our techs will advise you on whether it is more worthwhile and economical to repair the door or completely replace it in order to avoid further door difficulties later on. With a warm and friendly staff, upfront pricing, and experienced technicians, you can expect services that will exceed your expectations. Call now for a free quote and to find out more about our door installation 20743 solutions! 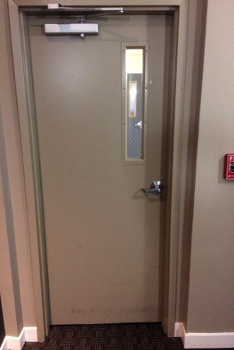 Door Installation 20743 Company in Capitol Heights, MD https://kingdoorandlock.com/maryland-door-installation/prince-georges-county/capitol-heights/20743-md/ 4.2/5 based upon 6 reviews.